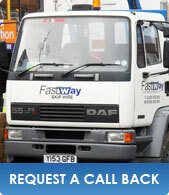 Fastway Skip Hire provides a wide range of economically priced skip hire services within the West Sussex area. Whether you are a builder, householder or commercial business, our modern, fast skip hire service is what we believe is, second to none. We have a skip for every requirement; our range varies from heavy-duty rubble skips to mini skips measuring either 2/4 yards. Mini skips can be used for general usage? For small properties clearance, whereas we would recommend the heavy-duty skips for demolitions/renovations/extensions and large scale Fastway Skip Hire are able to assist by solving your most complex waste disposal needs; we are able to dispose waste of minute levels to large-scale demolitions.